We know the importance of keeping the mind and body balanced. We put a lot of emphasis on being physically healthy but how do we keep our mind healthy? Our mind can create both happiness and sadness. We tend to create mostly negative images far different from the real situation which leads to stress. Stress is a part of our lives but it doesn’t necessarily lead to illness or disease. In fact, acute stress/challenges can also be good for us, giving us direction and a sense of meaning. However, in our daily life, we encounter chronic stress. We worry about getting sick and getting old. We worry about losing our job or our possessions, and we crave things we don’t have. Worrying increases stress which in turn produces anxiety. This state of sustained flight or fight can cause a decline in health. Our mind and body do not work together in unison. Meditation is a holistic way to keep our mind and body healthy and in harmony with each other. When the mind and body is in a balanced state, overall health improves. Meditation transforms our mind and helps us see the actual situation instead of our perceived distorted image. When our mind is clear, we can make the right decision to deal with the situation. People who meditate regularly, with the proper view, experience significantly positive mental and physical benefits. Sleep better and feel rested. Deal effectively with stressful situations. Better concentration and more focused. One of Master Tam’s publication, “The Dhyana of Living and Dying” (生與死的禪法) is now available in English as “Natural Appearance, Natural Liberation.” Published by the Canadian publisher, Sumeru Press, it is a commentary is based on the six bardos teachings from a series of hidden treasure texts known as the Profound Dharma of Natural Liberation through the intention of the Peaceful and Wrathful Ones, discovered by the great terton Karma Lingpa. 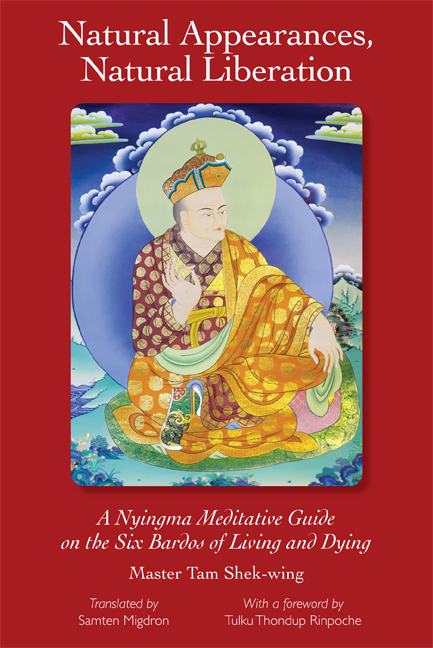 This book not only contains very practical advice on the bardos, or intermediate states of living and dying, but also has many teachings of the Nyingma tantric tradition embedded in it. The intention of the text is to condense the very deep and profound tantric teachings of the six bardos into practices approachable by all sentient beings so that many can swiftly attain various states of liberation. 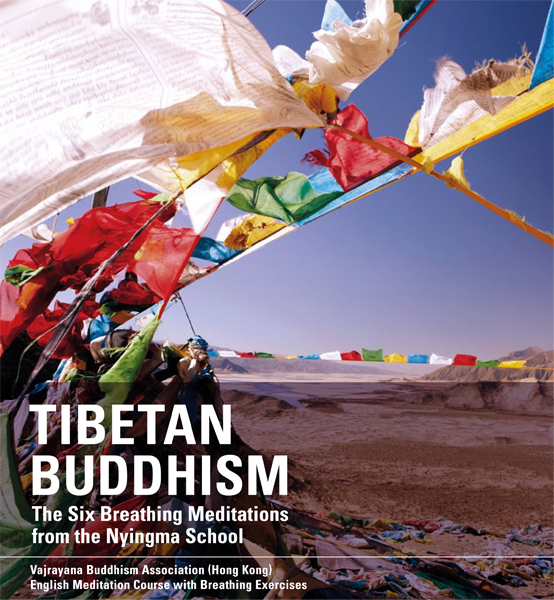 This book offers a scholarly but accessible explanation of the ancient wisdom embedded in this ancient Buddhist classic. 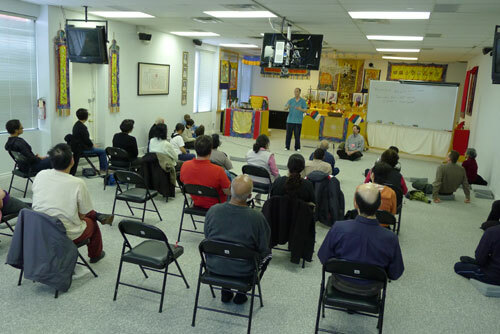 Students from afar came to celebrate Master Tam’s birthday on May 17. The day started with meditation in the afternoon followed by dinner at night. 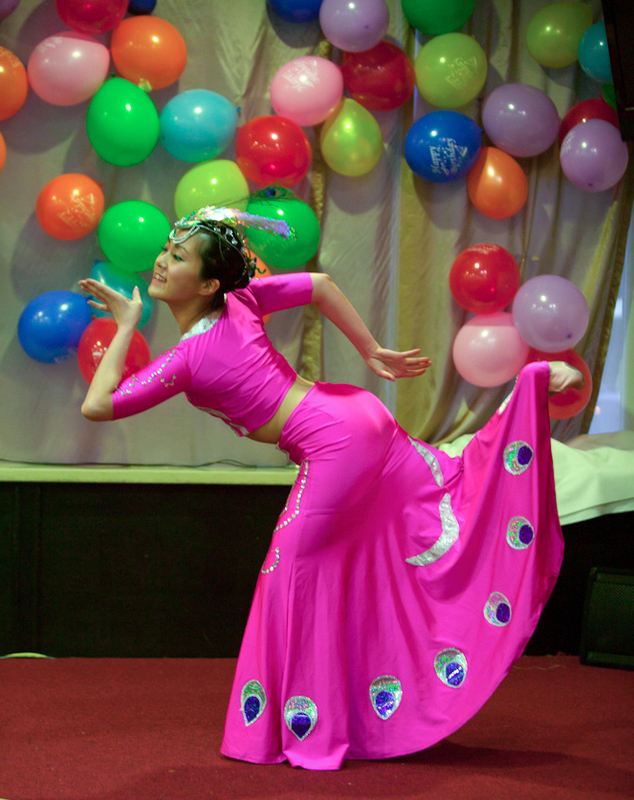 There were many entertaining performances throughout the dinner, including the auspicious peacock! A picture is worth a thousand words. Twenty pictures are worth twenty thousand words! Enjoy the event here, here, and here!